* Fixed issue with repeater fields not populating in repeater widget. * Fixed issue with Sales badges not appearing for Variable Products. * Fixed issue in Post Blocks widget. Images not loading with Infinite Ajax scroll in Mac Safari. * Added typography and box shadow controls for pagination in Post Blocks & Portfolio widget. * Fix: Hide activated license key from the admin settings page. * Fixed issue with Post Blocks and Repeater Carousel throwing js error where there is no data to display. * Fixed compatibility issue with ACF Pro that was generation PHP warnings in some cases. * Fixed issue with oEmbed field content in ACF Repeater widget. * Enhancement: Added option to control navigation arrow size in ACF Gallery widget. * Fixed issues with carousel and slider not working on mobile and tablet devices in various widgets. * Bug Fix: Fixed issue with wrong related posts. * Bug Fix: Wrong upsell products in Woo Products Widget. * Bug Fix: Infinite Scroll not working in some specific cases. * Fixed issue in Post Block causing html mess up in some cases. * Fixed Product Sales Ribbons conflicting with links under it. * Fixed wrong select in border control of Post Meta widget. * Fixed issue causing broken image in Post Image widget. * Added option in Post Block widget to limit the number of pages in pagination. * Fixed ACF Dependency bug. * New Feature: ‘AE – Taxonomy Custom Field’ widget for taxonomy custom fields. * Enhancement: Enhanced Woo Gallery widget for editor product archives. Flip and Swipe images on hover. * Enhancement: Add Type – Date in AE – Custom Fields widget. * Fixed issue in custom field widget with mail and tel links. * Fixed issue in ACF Carousel with mobile view. * Fixed issue with custom fields links. Link and Text fields are used in reversed order. * Fixed RTL compatibility in Swiper library used in Post Blocks and ACF Gallery widget. * Fixed issue with Dynamic links not working in Post Blocks widget after the first page. * Few other minor CSS and typo fixes. * Fixed issue with background slider. * Bug Fixes: Updated Swiper library to fix issues with Carousel in ACF Gallery and Post Blocks widget. * Bug Fixes: Fixed issues with Add to Cart widget not supporting some third party plugins. * Bug Fixed: Fixed notices in various areas. * Fixed issue with plugin’s folder renamed after last update. * Fixed notices on frontend. * Fixed missing pagination issue in Post Blocks and Portfolio Widget. * Added option in Post Blocks to filter posts by Author. * Added lightbox option for ACF Gallery widget in Carousel mode. * Added labels in Post Meta widget for Author, Date. * Added functionality to define max length for Post Title. It will be helpful in grid & carousel structures when post titles are too long to fit. * Added option in the custom field to link with the post. * Post Blocks pagination not working with WordPress default permalink structure. * Woocommerce products not working with Elementor Canvas template. * Post Image widget adding unnecessary HTML when there is not feature image available. * Fixed issue with Post Block animations not working with ajax pagination. * Layout placement using Hook Position not working for home pages. * Fixed issue in Post Block layout with WPML Compatibility. * Elementor 2.0 compatibility issues fixed. * Enhancement in the Content widget to show Term Description only on the first page. – Fixed fatal error with WPML installed but String Translation plugin not found. – Fixed issue with ajax add to cart in WooCommerce. * Bug Fix: Woo Content widget not rendering shortcodes. * Bug fix: Issue with WooCommerce product not editable using Elementor when AE Template is applied to it. * Along with some other minor bug fixes. * Bug Fix: Fixed issue with a fatal error in editing some of the old AE Templates after V2.5. * Enhancement: Added option in Post Meta widget to disable links. Now you can disable links from post meta items like category, tag, author, and date. * Enhancement: Added option to disable links in Taxonomy widget. * Enhancement: Added “Enable Canvas” option for Single Post AE Templates. Now you won’t have to set canvas template on individual posts. Just check “Enable Canvas” option for AE Template and all your single post will work with Elementor Canvas. * Enhancement: AE Template frontend preview won’t be accessible for non logged in users. * Bug Fix: Fixed bug in ACF Gallery widget when there is no image available. * And many other minor fixes and enhancements. * Fixed issue with namespace in license manager. * Fixed select2 library conflict with other plugins. * WooCommerce gallery issue fix (Lightbox was not closing). * Strip shortcodes from Post Excerpt. * Fixed issue with hiding blank custom fields in Post Block widget. * Fixed issue with Post Block widget – Pagination not working in some cases. * Custom Field widget: added support for mailto & tel link. * Background Slider – Added option to disable the Kenburns effect. Fixed issues in license activation. Now allows you to edit post content with Elementor even if AE Post layout is applied over it. AE Template for Pages was not working properly after the last update. Woo Add to Cart – Styling controls were not working for Variable products. * New: Full control over taxonomy archive layout with elementor canvas support. * New: Full control over blog page/ CPT Archive layout with elementor canvas support. * New: Ability to design 404 Template along with the option to choose canvas template. * Tweak: Added ACF Pro formatting support for the date field. * Tweak: Overlay option for Post Image widget. 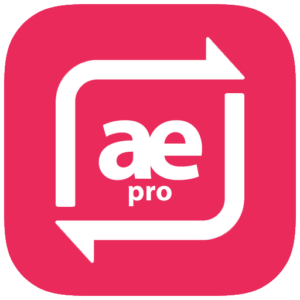 * Fix: Issues with AE Template export. * And a lot of other minor enhancements, fixes and code improvements. * New: Custom Post Type Archive Supported now. * Fixed some issues with OceanWP single post layout.